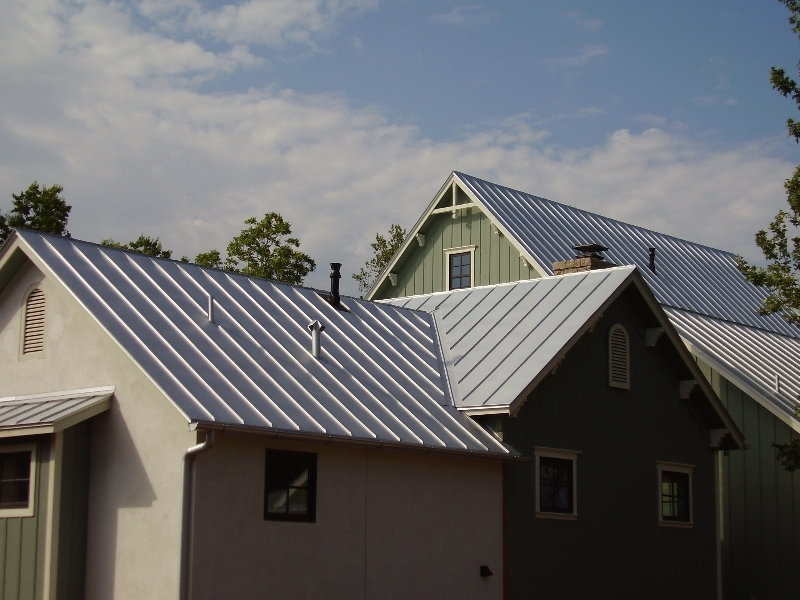 Metal Roofing Systems, More Widely Known As Standing Seam, Have Become Increasingly Popular In Recent Years. These Metal Systems Offer A Wide Range Of Profiles And Colors. In Addition, These Systems Are Extremely Durable, Require Minimal Maintenance And Offer Outstanding Wind Uplift Resistance When Properly Installed. While The Up-Front Investment Is More Than Most Roof Systems, The Life Cycle Cost May Actually Be Lower Than Other Alternative Roof Systems. 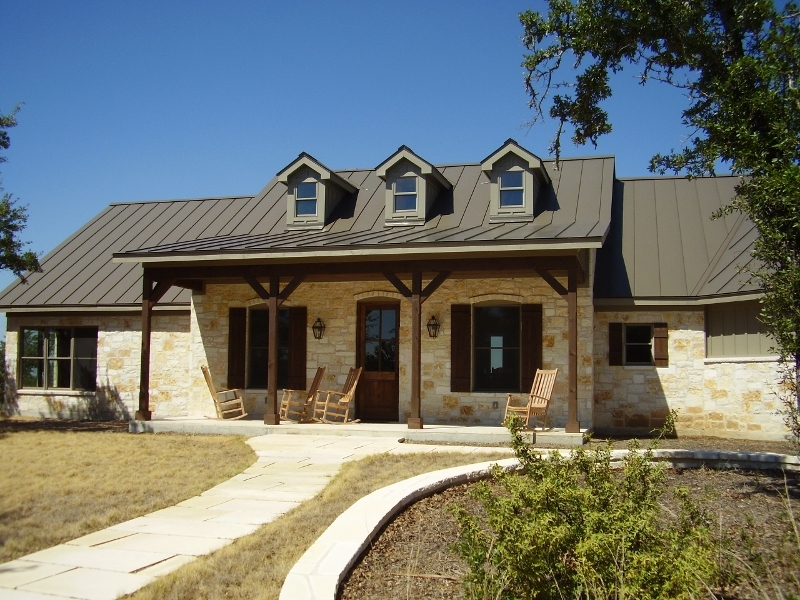 Standing Seam Metal Roofing Has A High Standing Seam Rib And All Concealed Fasteners And Attachment Clips. True Standing Seam Panels Are Sleek And Clean Looking. We Have Panels Available From A Number Of Excellent Manufacturers To Fit Your Roofing Needs. Panels Are Available In Galvalume, Aluminum, Copper Or Galvanized Core Steel Which Also Come In A Variety Of Painted Colors. 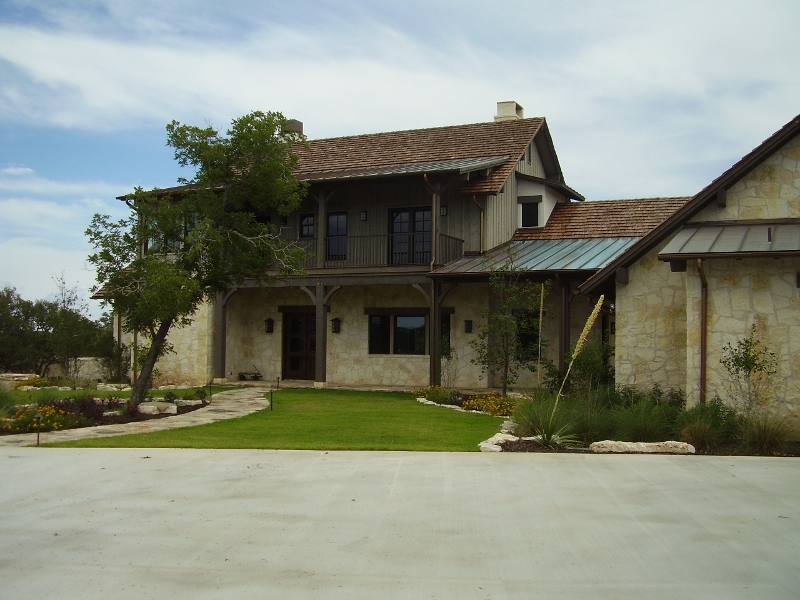 Standing Seam Metal Roofing Is The Most Durable And Weathertight Roofing System Around. This Metal Roofing System Is Known To Withstand The Test Of Time And Perform Exceptionally For Extended Periods Of Time. Many Metal Roofs Can Last From 60 To 75 Years At Peak Operation. Our Metal Roofs Are Backed By A Proud Tradition In Longevity And Quality. 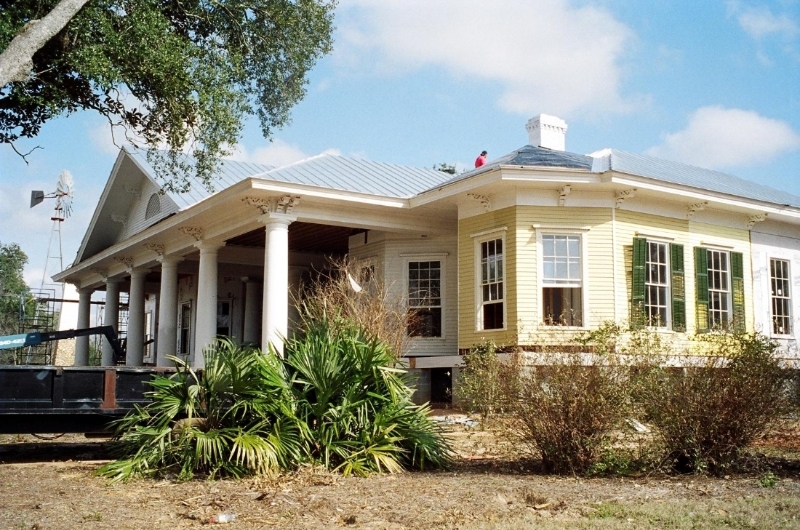 Standing Seam Metal Roofs Have A Reputation Of Being Highly Durable To Withstand Severe Weather. These Roofs Can Repel Damage From High Winds, Hail, Rain, Ice, Snow, And Stray Debris Tossed In Many Storm Events. Standing Seam Roofing System Uses Sliding Metal And Not A Mixture, It Is Non-Combustible, Giving Standing Seam Metal Roofing The Highest Fire-Retardant Rating. Our Metal Roofs Are Composed Of Cutting-Edge, Industry-Leading Metal Products Which Reflect The Sun's Energy And Nevertheless Remit Heat Through Pigments Featured On The Roof's Surface. As A Result, Our Customers Are Offered A Product That Is Able To Reduce Cooling Costs While Also Retaining Heat In Homes When It Is Needed Most. We Have A In House Full Service Sheet Metal Shop So We Custom Fabricate All Required Trim Components Based Upon True Filed Measurements. This Means Small Variations In Size And Profile Are Easily Handled Without Wasted Time And Money With Out Of Town Fabrication. Interested In A Standing Seam Metal Roof? Contact Us Today! When It Comes To Choosing Copper For Your Roof Material, There Is One Thing You Can Rely On: Copper Will Not Rust, It Has No Finish To Scratch Or Peel, And It Is Soft Enough To Easily Cool And Weathers Naturally To A Beautiful, Natural Green Patina. Although Considerably More Expensive Than Aluminum And Galvalume, Copper Is A Rare Metal That Can Give Your Home The Look And Feel You Desire! A Standing Seam Copper Roof Can Be Soldered Or Mechanically Seamed. At Nixon Roofing, Inc., Our Team Of Professional Installers Suggest A Mechanically Seamed Installation Because It Gives A Neater Look To Your Copper Roof. In Addition, Mechanically Seamed Copper Requires Absolutely Zero Cleaning Of The Seam After Installation. Copper Is Ideal For Roofs That Have A Significant Curve Within A Small Distance Of The Roof. Aluminum Or Galvalume Have A Paint Finish And Cannot Be Bent To Extreme Measures, But Copper Can. Often, The Curved Roof On Your Home Is Copper That Sometimes Gets Painted Over After 70-100 Years. If This Is The Case You Should Look To Replace It With A New Copper Roof And Over Time You Will Have A Beautiful Patina. Slate Roofing Has A Classic And Beautiful Look To It, But It Requires Contractors With Advanced Skills. With That Being Said, Don’t Just Hire Anyone To Do This Job, Make Sure You Give Our Team At Nixon Roofing, Inc. A Call To Ensure That You Get The Best Of The Best To Install Your New Slate Roof. Slate Roofing Is Generally Known As Very High Quality And One Of The Longest Lasting Roof Options In Today’s Market. However, It’s Not For Everyone Considering The Difficult Installation, Higher Cost, And It Being Slightly More Fragile Than Other Roofing Materials. Appearance: This Is Easily One Of The Top Benefits Of Slate - Homeowners Are Naturally Attracted To Its Beauty. Another Great Benefit Is That Slate Is More Customizable Than Other Roofing. You Can Choose A Certain Thickness And Size, As Well As Choose From An Assortment Of Different Colors Including Red, Black, Purple, Green, Gray, And Mottled Tiles That Have A Mix Of Different Colors. Longevity: With Proper Installation, Slate Roofs Are Built To Last Roughly A Century. Most Often, Slate Roofs Last Nearly 150 Years On Average. This Is A Huge Benefit Considering That Many Roofs Currently In The Market Last Only 20-30 Years Before Needing Replacement. Fire Resistance: One Of The Most Fireproof Roofs That Exist Is Slate Tile. With Slate Being Completely Fire Resistant, It Has Advantages Of Being A Safer Option Against Wildfires, Airborne Sparks Like Fireworks, Or Adjacent House Fires. Both Concrete And Clay Roof Tiles Are Very Durable Long Lasting Materials. When Coupled With A Properly Installed Roof Assembly, We Can Give You A Roof System That Has A Serviceable Life Of Up To 30 Years Or More. Concrete And Clay Tiles Come In A Variety Of Shapes, Sizes And Textures And One Of Our Trained Professionals Can Assist You In Selecting The Right Tile To Help Accent The Architecture Of Your Home. There Is Nothing That Is More Aesthetically Authentic Then Traditional Clay Tiles. Whether It Be A Classic 2-Piece Mission Barrel Or A More Cost Effective Spanish "S" The Look Of Clay Is Simply Timeless. At Nixon Roofing, Inc. We Can Recommend World Class Clay Tile Products From Numerous Manufacturers. We Have Imported Custom Clay Tile From Many Parts Of The World And Are The Local Experts In Application Of The Products. Give Us A Call So We Can Help You Create A Masterpiece. At Nixon Roofing, Inc. We Offer A Wide Array Of Available Concrete Tile Selections. Concrete Offers Multiple Shapes, Sizes And Colors To Choose From. Concrete Tile Provides Great Value As It Is Aesthetically Pleasing And Extremely Durable. Call Us Today To Find Out More About The Options Available To Meet Your Roofing Needs. Today We Are Seeing More Individuals Select Flat Tile Profiles Than We Have In Years. Most Of This Product Is Being Installed On Homes Or Businesses With A More Contemporary Design Element However There Are Also Rustic Flat Profiles Available As Well. Flat Tiles Are Available In Both Concrete And Clay. Flat Tile Installations Can Be Striking When The Correct Architectural Elements Are Present. Give Us A Call Or Come Visit Our Showroom So We Can Share The Flat Tile Options We Have Available For You. Shingles Are Currently The Most Popular Type Of Residential Roof Material For A Variety Of Reasons. They Come In A Variety Of Colors And Styles, Are Fairly Durable (Some Manufactured Shingles Have Been Tested And Have Achieved A 130 MPH Wind Uplift Rating), And Can Be Simply Repaired And Maintained. Shingles Are An Excellent Option For Homeowners Looking To Extend The Life Of Their Roof. Most Types Of Shingles Will Last For 25 Years Or More And Add A Level Of Protection That Can’t Be Matched. 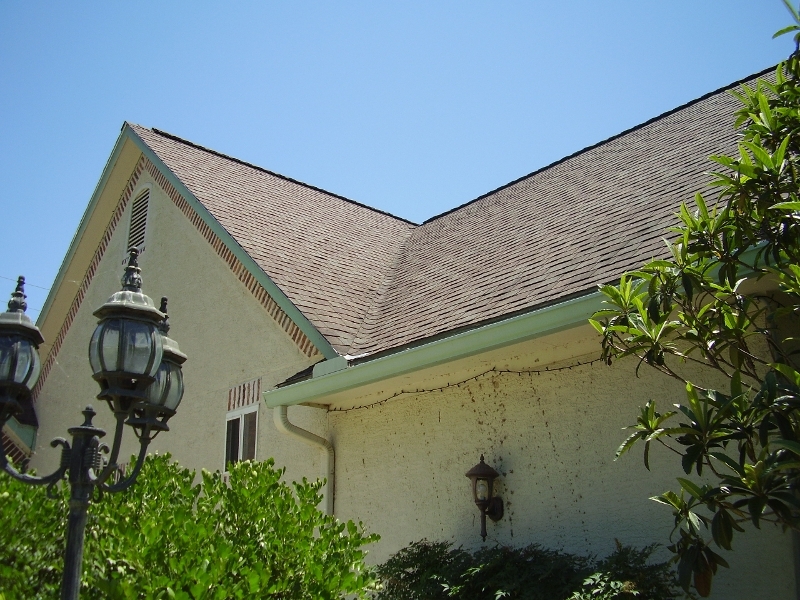 We Use Only The Best Quality Shingles For Our Roofing Services In Several Attractive Colors And Styles To Choose From. Asphalt Shingles – These Type Of Shingles Are Some Of The Most Frequently Used And Are An Inexpensive, Cooler Option. Asphalt Shingles Come In An Array Of Colors To Pick From That Will Look Good With Almost Any Home Or Building. They Have A Lifespan Of Around 30 Years And Come In A Variety Of Styles, Dimensions, And Thicknesses. Fiberglass Shingles – Made Of A Fiberglass Base Mat And A Waterproof Layer That Is Bonded With Resin, These Shingles Have Risen In Popularity. They Are Extremely Fire-Resistant And Waterproof, Making Them Incredibly Safe For Your Home. Their Lifespan Is Around 30 Years Or More And Makes An Excellent Choice As An Insulator For Your Roof. Metal Shingles – Constructed Of Solid Metal Or In Shingles, This Roofing Option Is Relatively Budget Friendly And Has A 50-Year Lifespan. This Type Of Roofing Is Becoming A More Popular Option All Around The Country And Is Offered In Many Different Colors. They’re Generally Very Durable And Can Withstand Harsh Weather And Exposure Over The Years. Wood Shake Shingles – These Shingles Are Often Preferred For Their Natural Appearance And Are Generally More Expensive Than Asphalt Shingles. Hardwood Varieties Like Cedar And Redwood Can Last At Least 30 To 50 Years If They Are Regularly Inspected. how long do shingles last? The Lifespan Of Shingles Depends Highly Upon The Type Of Shingle Selected As Well As The Environment Where It Is Installed. Shingles In Cooler Climates Such As The Northern United States Tend To Last Longer Than Those Installed In The Warmer Climates Such As South Texas With Excessive UV Exposure. Heavier Weight Dimensional Or Architectural Asphalt Shingles Last Longer Then Traditional 3-Tab Shingles. 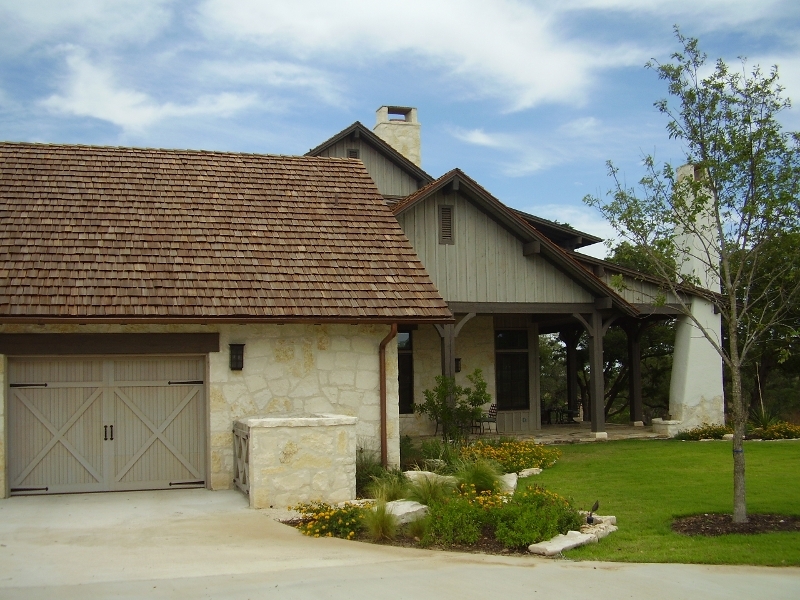 Most Shingle Roofs Installed In The Texas Climate Will Last Between 12-20 Years Depending On The Quality Of Shingle And Type Of Material Selected. If You Have Any Questions Or Would Like More Information About Our Roofing Services, Call Us Today For A Free Estimate!!! Copyright © 2018 Nixon Roofing, Inc. All Rights Reserved. Website Design & Development By Joel S.